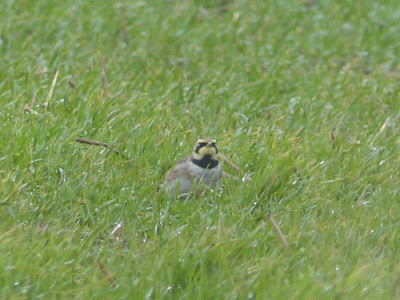 Perhaps the most interesting thing today was the rediscovery of 16 Shore Larks in the field to the south of Crook Ness; this is obviously the same flock that was last seen about a month ago. Also, nearby at Long Nab a Great Northern Diver went north at 08.35, 10 Red-throated Divers also went north as did 14 Common Scoter and there were a further 9 Red-throated Divers on the sea feeding. At Scalby Mills a 1st winter Glaucous Gull was seen early on and then this or another was seen three times; once off the Harbour and then twice off Marine Drive, on the sea by a visiting birder and then drifting north close in at 13.15. Finally one was back at Scalby Mills in the mid-afternoon. 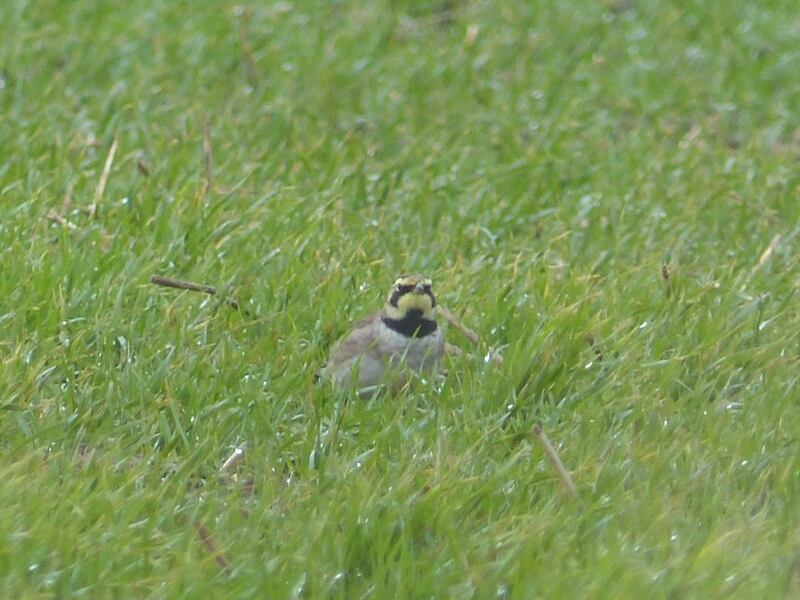 Also seen here was a Ringed Plover and to the north there was a Dunlin in Jackson’s Bay. In North Bay there were a Black-throated Diver, 2 Red-throated Divers and a female Common Scoter, on the southern side at least one Black Redstart and the Stonechat remained near the Albert Drive Café. The Harbour still had 2 Great Northern Divers and a Black-necked Grebe that were still attracting quite a lot of visiting admirers. Elsewhere in the area there were Pintail, 2 Wigeon and 2 Brambling at Harwood Dale Lake and 3 Red-throated Divers and 2 Grey Plovers in Cornelian Bay.